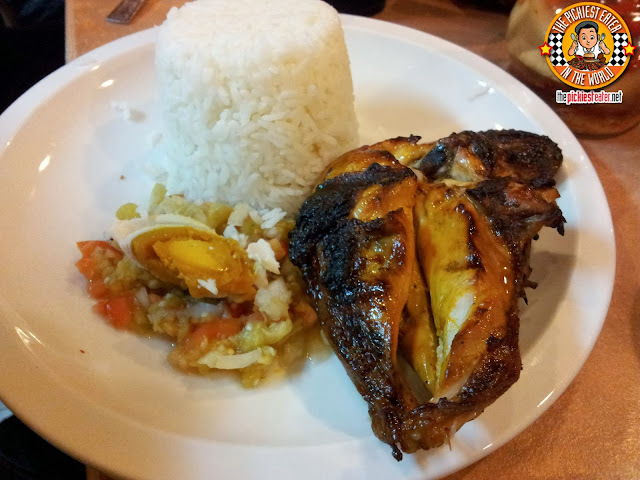 THE PICKIEST EATER IN THE WORLD: AIDA'S CHICKEN: BACOLOD'S BEST AT MAKATI CINEMA SQUARE! AIDA'S CHICKEN: BACOLOD'S BEST AT MAKATI CINEMA SQUARE! As I mentioned in some of my previous posts, moving our office to Arnaiz Avenue brought along the challenge of finding decent and affordable spots to eat, after leaving the comfort of Palanca street.. Our home for Four years. Good thing there were a few of the old reliables nearby, such as Max's, Pancake House, and The Old Spaghetti House, but apart from that, I found some fantastic places out of the ordinary, such as Kitch Cafe and Ukkokei Ramen Ron. What I haven't told you about, was the very first place I had lunch at during my first day at my new office, which was a restaurant at the lower floor of Makati Cinema Square, called "Aida's Chicken". I never told you guys about it because of two reasons: The first being I hated what I ordered, and the second is because I forgot to take pictures, mainly because my camera phone was crappy back then (Thank you Samsung for bringing to the world the Galaxy S2!). 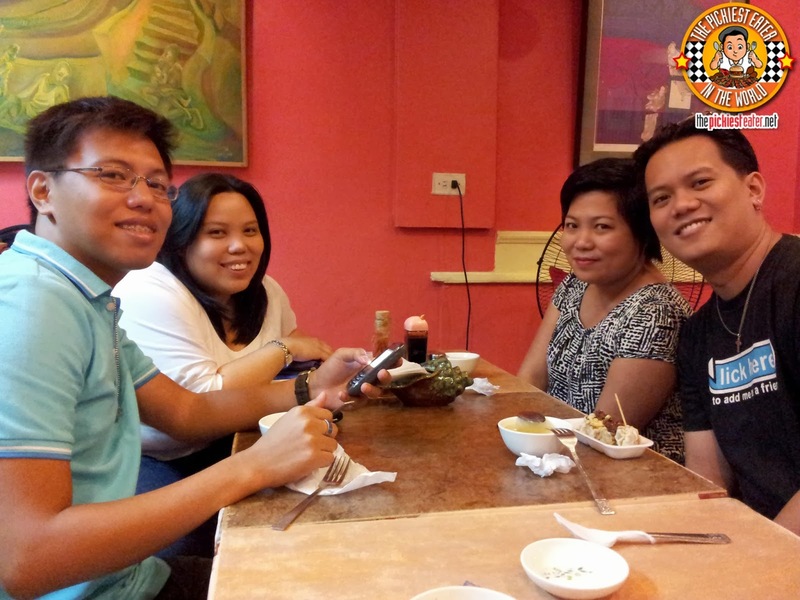 For my first meal there with my giant Joel and his CG team, I ordered the Adobong Pata rice meal (P145), and I didn't like it at all. In fact, I hated it so much, I ended up stepping out and ordering from one of those 25 Peso Siomai stall in front of them, and eating it with my rice instead. 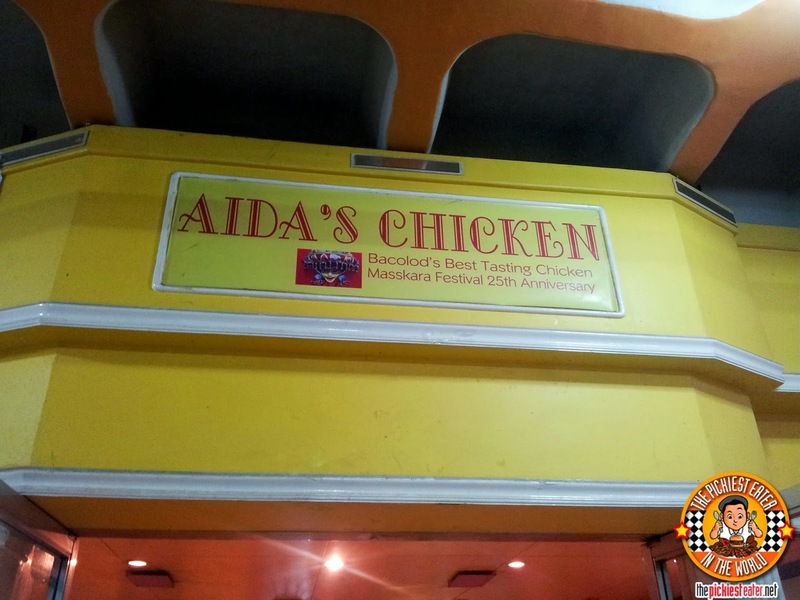 So after that experience, everytime someone from the office would rave about Aida's Chicken, I would continue to be baffled. One time my office mate Naomi asked if I wanted to go with them to Aida's Chicken for lunch, and I politely declined, saying I didn't like the food. 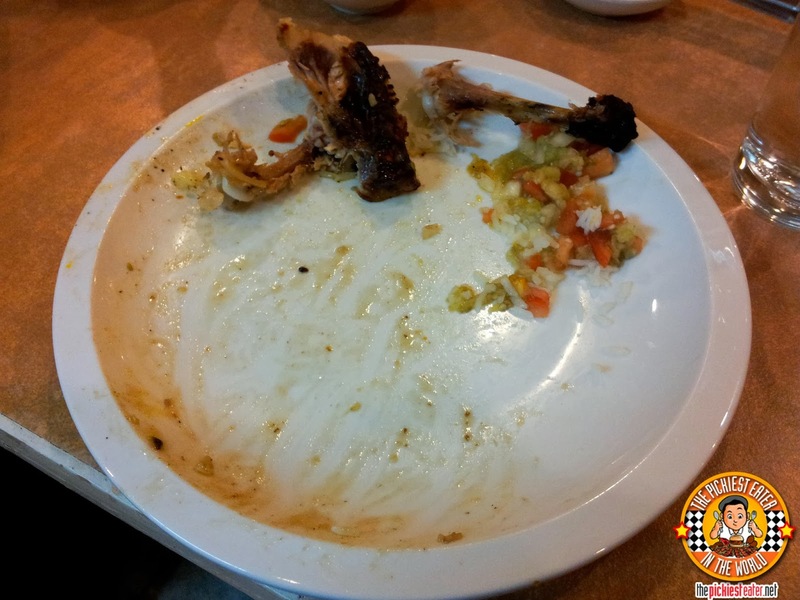 She said it was easily among the best Chicken Inasal she had ever tried. I told her I didn't try their inasal, I tried their Adobong Pata. For those who don't speak tagalog, she basically called me an idiot for not trying their chicken inasal dish, which is why the place has the word "CHICKEN" in their name in the first place. She ended her statement with, "I thought you were supposed to be a "Blogger". So there I was, standing there, humbled by my office mate who questioned my capacity as a food blogger.. but the funny part about it was, she was totally right. So the next time Naomi and the rest of the gang asked if I wanted to go with them to Aida's she was pretty surprised when I simply replied, "Game". I went to Bacolod around ten years ago with my then-girlfriend and other college friends to attend the summer film workshops held by the great Peque Gallaga. Unfortunately, by the time we got there, all the technical courses were already filled up, so I was left with having to take an advanced acting class called "Being", despite having no acting experience whatsoever. I actually really enjoyed the class (But that's a whole different post), and met some amazing people, that took me to some fantastic places to eat. In fact, a dish from one of those places made it to my "One The Best Things Ever" list (When I go back to Bacolod, I'm going straight to that restaurant so I can make a post out of it). I really loved my visits to the famous "Manokan Country", making me realize that I was getting ripped off by all the other Chicken Inasal places in Manila. THIS was the real deal. The flavor just popped in your mouth. Hell, even the chickens seemed bigger! 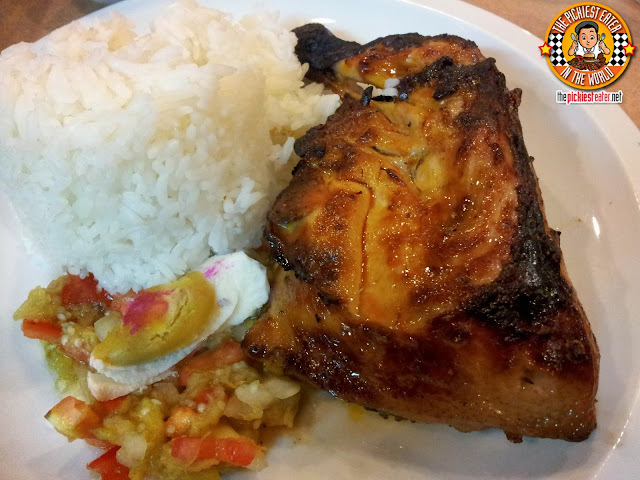 Aida's Chicken has a stall in Manokan Country, and even won an award in 2005 as "Bacolod's Best Tasting Chicken". Every time I walk into MCS, i feel like I've stepped into a Brian De Palma film and I need to meet a gangster named "Vinny Snake Eyes" to make a drop off for the "Package". Makati Cinema Square is famous because it is perhaps the only "Cinema Square" in the entire world, without an actual.. well.. "Cinema". If you haven't been there in the last 20 years, fret not, because if you replace some of the music stores that sold vinyl records and cassette tapes with DVD vendors, and the shops that sold analog music equipment with cellphone merchants, it's pretty much still exactly how you remember it. Even that half a UFO that supposedly crashed into the outside of the building? Yep it's still there. In that case, I guess it's only fitting that (considering how the place looks like its a set from an 80's pinoy sitcom) Aida's Chicken is located in the basement of MCS. Of course, to me it doesn't matter what the place looked like for as long as it was clean, which it was. And the art work of the naked women distracted me from noticing anything else about the place. 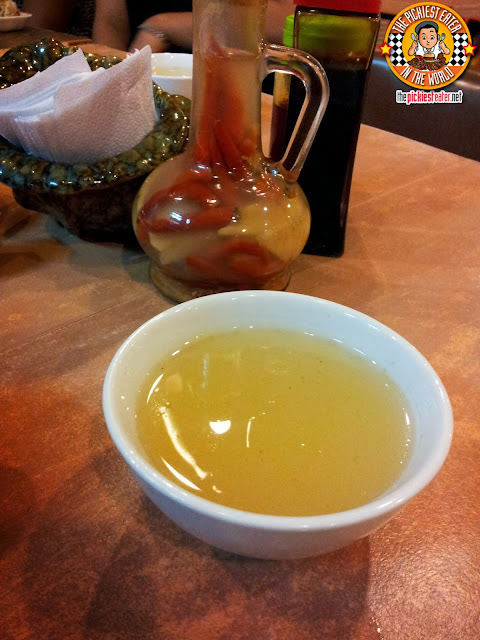 Usually when restaurants give you bowls of free soup, its usually not very good. In fact, whenever asks me "What kind of soup is that? ", no matter what it is, I always say, "Cream of Burlington" just to freak them out (Get it?). This one was surprisingly good. Despite it being a clear soup, it had the right amount of spices and meaty flavor in the broth to give it a distinctive taste. It tasted like a soup that they put an effort into making. Not something that is taken as an afterthought since it's free. My friend Rain finally satisfied her craving for the Chicken Nilagpang (P90). It was a bit too tomatoey looking so I couldn't risk trying it while I was in the office (Hyper-acidity meets Picky Eater, read all about it here). It did have some beautiful colors to it, and smelled amazing. 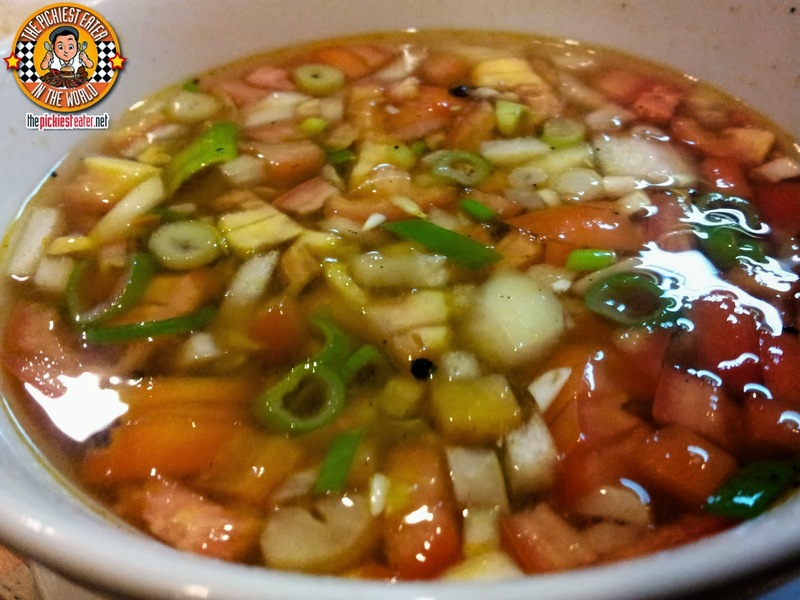 According to Rain, its sort of like an ensalada that you turned into a soup with loads of shredded chicken. It also had a bit of a sour taste that Rain seemed to enjoy. 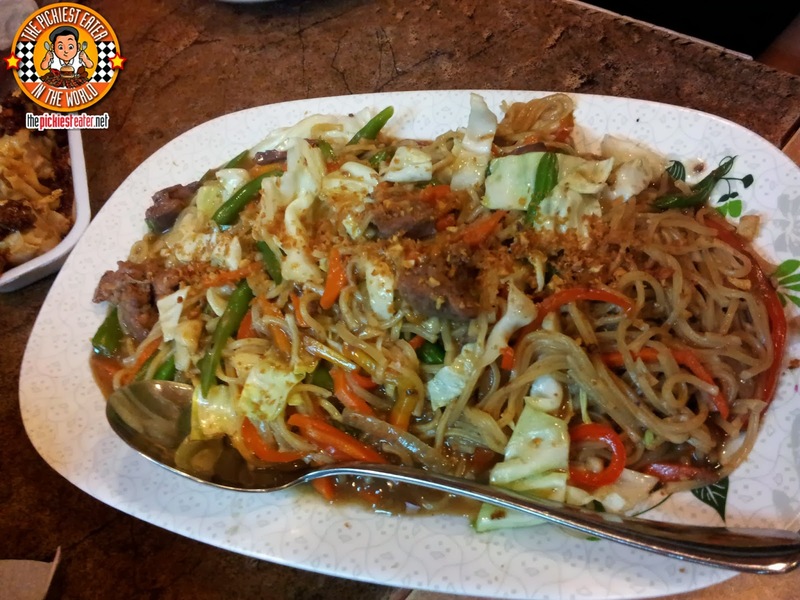 Despite claiming he had eaten at home before he went to the office and was just going with us because he was bored, my buddy Melvyn ordered a huge plate of Pancit Guisado (P170) for himself. He let me try a bit of it, and I must say, it was pretty excellent. The noodles were doused in a rich sauce, and the slices of grilled chicken gave the dish a delicious overall smokey taste to it. There were bits of liver in it, which I picked out and separated.. Only to realize that i missed out on a few small pieces hidden under a piece of cabbage as I swallowed it down. My friend Jerwin is famous in our office for not accepting anything less than a rice dish with every meal (Case in point, yesterday we ordered Burger King delivery.. all of us had Whoppers or Junior Whoppers while he had the two piece Chicken Meal), so it came as to no surprise that he ordered Bacolod's very famous (and very heavy) Kansi (P170). 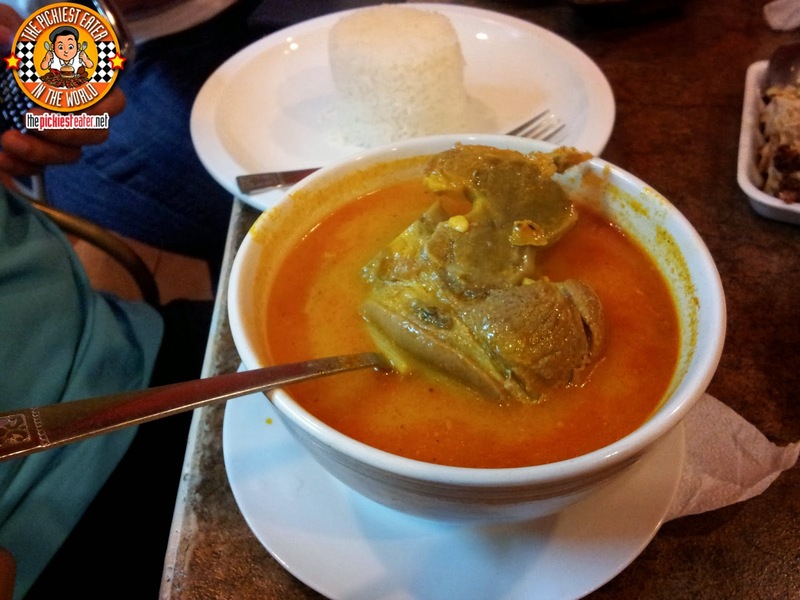 If a bowl of Bulalo and a bowl of Sinigang could make, Kansi would be their love child. You have a big shank of beef, bathed in a sour, lightly spiced broth. The serving of beef was quite huge, and undoubtedly enough to satisfy Jerwin's hunger. My intention was to try their Chicken Inasal once and for all, so that's what I did. It only took me around two bites to realize that Naomi was exactly right. I was a complete idiot for not trying Aida's Chicken Inasal earlier. The chicken was so juicy and tender, and bursting with flavor. It was beautifully smoked, and went well with the ensalada it came with (which i don't normally eat but I enjoyed here). My only comment would be, I wish the part they gave me didn't come with the skin ripped off (I love me some chicken skin), but the taste of the meat more than compensated for it. Other than that, easily the best Chicken Inasal I've had since my time in Bacolod. I'm not ashamed to say that I completely annihilated that chicken meal, barely leaving anything on the bones when I was done. Every Filipino foodie should go to Manukan country in Bacolod at least once in their life, and have a taste of what authentic Chicken Inasal tastes like. But in case you can't, for me, Aida's is definitely the next best thing! Weird nga eh.. That's what I thought it was too but walang Pancit Canton sa Menu hehe..whoops! You should try your meal with their chicken oil next time you go. They have bottles of the oil on the tables, and it's best mixed with the rice. Uber sinful, but super sarap. Jay, I think you and I would get along just fine.. hehe..
That's what I normally do with inasal, but I'm trying to lose a little weight so I tried not to hit the oil bottle too hard hehe.. but mixing the oil into the rice is EXACTLY how I eat it!